HA NOI (VNS) — The 10th round of V.League 1 kicks off earlier than usual today with a clash between the top two teams Becamex Binh Duong and Thanh Hoa. All eyes will be on Thanh Hoa Stadium, some 200km from Ha Noi, for the game. 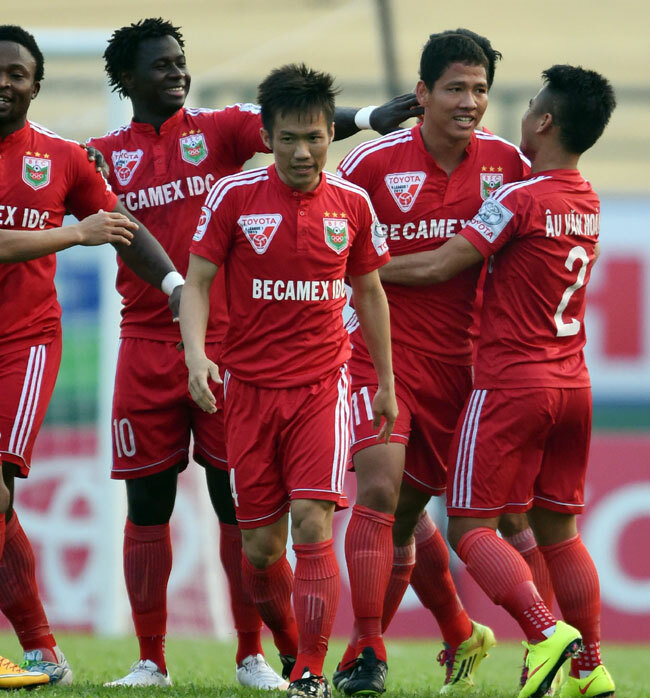 Thanh Hoa, currently in second place, are hoping to continue their winning streak under new coach Hoang Thanh Tung. Tung, in his first match in charge last week, helped Thanh Hoa beat Dong Thap 3-1. Today his team will have home support, and they will be hoping their fans will give them the advantage. If they win today they will replace Binh Duong at the top of the table, and they will field a full strength team, including striker Hoang Dinh Tung. His hat-trick last week propelled him to the league's top scorer with seven goals in nine games. However leaders Binh Duong, the defending champions, will not be a push-over. The all-star team are on song after their first win in the Asian Football Confederation Champions League last week. In the domestic competition, they have won seven out of nine matches, but they will be without Nguyen Tang Tuan who is suspended. However, 2014 Bronze Ball winner Le Cong Vinh is in form after minor surgery on his knee. Last season, the teams shared three points apieace. Today's match will be aired live from 5pm on VTV6 and BongdaTV.